Asian markets have started the year in a bullish mood with nearly all markets up 5 to 10%, in particular China, which rose 12% in the first 6 weeks. We look for further gains this year especially in the neglected and under researched A Share market, in which we are pioneers. The recent discussions between US and China trade negotiators have also focused on the Renminbi remaining stable against the US Dollar (currently 6.70). China is undergoing an important transition from being the low-cost manufacturer of the world to an economy focused more on serving domestic consumer demand, and doing more business with its Asian neighbors – hence, our renewed emphasis on ASEAN, with a target weighting of over 30% in Singapore, Malaysia, Thailand, Indonesia, Philippines, Vietnam. In January, we saw new credit issued to Chinese borrowers surge 51% year-on-year to 4.6 trillion Renminbi, or US$687 billion. Despite the 6% fall in passenger auto sales in the past year, and an 8% decline in new residential completions, we expect easing financial conditions in China to power a cyclical uplift in the first 6 months, with key beneficiaries being energy, utilities, and infrastructure. We remain concerned in the medium term about the property and construction sector in China with an estimated 50 million empty apartments. Meanwhile, demographics is having an impact (as it has in Japan in the past 30 years) with China’s working population between 15 and 64 declining at an annual compound rate of 0.3% from a peak of 996 million people in 2014, falling by about 30 million over a decade. Property in China has an outsized impact on the economy, both in terms of construction and bank lending. (According to some estimates, the value of real estate held by private households is nearly 5 times GDP, compared to a US peak of 2 times GDP in 2005.) The current meeting in Beijing of the Communist Party leaders, has confirmed a GDP slowdown to 6%, but has announced tax cuts, and other stimulus measures, including support for the A Share market. One of the important developments in China this year is the rollout of 5G by the major telecom groups, such as China Mobile and China Unicom. We also see opportunities in the China Tower Corporation Limited, which has 1.9 million operating towers across China. Has there really been a Trade War? Like Brexit, the mere threat of such a spectre has chilled capital spending and expansion plans. Companies prepare for the worst. Donald Trump, while on the one hand reducing taxes and regulations on domestic US businesses, has ramped up his “America First” campaign, and threatened not only China, but also Europe and even Canada and Mexico, with tariffs. The reality is that the US wants to do more business, but on their terms – and the real threat was China’s “Made in China 2025” target of dominating AI, robotics, 5G, electric vehicles, and other key strategic industries of the future (many defense related). However, ambition is one thing. The reality is that China today imports US$250 billion worth of semiconductors (more than oil imports) and is not yet ready to compete in so many areas. It will, nevertheless, be hard for the US to keep China down, and it is right to insist on intellectual property protection. This is now fully accepted and supported by President Xi Jinping’s administration. The only exception to the upward trend has been India, which is down marginally year-to-date on investors’ apprehension about the May elections, and rising tensions with Pakistan. Although the stock market has been weak (especially, the midcap stocks, which are down 16% in the last year), the actual corporate results remain strong with revenue growth of 22.7% in the past quarter. This indicates the strong GDP and consumer growth across India. However, the margins have been pressured by a volatile oil price and Rupee, as well as high real interest rates. Earnings, measured by EBITDA, grew 16% YoY (excluding oil marketing companies). The exceptions to this slow profit growth have been IT and private banks, as well as retail, all of which we are overweight. The energy, telecom, and auto sectors have been the worst performers. Overall, we remain sanguine about the outlook for Indian equities over the medium term. Meanwhile in Southeast Asia, we remain focused on the consumer opportunities in Indonesia and the Philippines, represented by fast food outlets, hardware stores, telecom and banking. The value proposition in Southeast Asia is also mirrored in the relatively high dividend yields of 4 to 5% on some major companies, especially in Singapore, Malaysia, and Thailand. With the increased flow of Chinese trade and investment into this area, we expect strong sales and earnings reports to come through in the next 2 years. Indonesia holds a general election in April; and, unlike in India, there is no question that President Jokowi will be returned with a good majority to extend his reform and infrastructure plans, which are positive for Indonesia’s economy and market. Thailand also holds an election in late March, but we do not see any significant change for the economy. The general impression of South East Asia is of a high degree of stability with growth rates of 5 to 7%. Consumers are, just as in China, conservative with high savings rates of over 30%, but per capita income in Singapore is US$53,000 – higher than Japan. In Vietnam, Philippines, and Indonesia (with over 450 million people in these 3 large nations), the incomes average about US$3,000, but the middle class is now 15 to 20%, comprising a group of 70-90 million consumers, with US$10,000 to US$15,000. Education is rapidly improving with large numbers of students at universities and people traveling overseas. Many of the trends in China – infrastructure, tourism, healthcare, education, housing, e-commerce, and apps – are quickly mirrored (within less than 5 years) in ASEAN. Alibaba has engineered a rapid expansion through Lazada in Singapore, Tokopedia in Indonesia, Bigbasket in India and many more in the region. In conclusion, we believe a balanced portfolio of China, India and Southeast Asia will produce the best returns in the next 5 years with less volatility, and exposure to the best companies in the fastest growing regions in the world. History is a useful Guide for Investors, especially when the crowd is issuing warnings of doom and collapse. Throughout my 37 years in Asia, we have had periodic panics and stock market collapses, such as 1987, 1998, 2000, and the financial crisis of 2008/9, since which we have enjoyed a 10-year bull market. Political crises, such as 1983/4 Hong Kong, 1989 Tiananmen Square, 9/11, and the Iraq War 2003, have also deeply impacted markets. One lesson we have learned is that life gradually returns to normal, daily business goes on, and it is well worth being a long-term contrarian investor. My long-term faith in Asia, and in her hard working people, has never faltered. Through my work with the Lloyd George Asia Foundation, I have also witnessed the thirst for education and self-improvement in some of the poorest neighborhoods of Calcutta, Manila, Bangkok, and the remote Karen Hilltribes Trust of Northern Thailand, which I recently visited. The first thing these children need is a reliable water supply – then dormitories; but the strong desire for literacy, for knowledge, for learning languages, and skills such as nursing and engineering is present everywhere. In our investment strategy, we have increasingly focused on finding driven and committed entrepreneurs and founders of new businesses, whose energy and vision benefits all their shareholders. I have had the great good fortune of meeting Li Ka Shing of Cheung Kong, Robert Kwok of Shangri-La, TK Wen of Selangor Properties, Narayana Murthy of Infosys in Bangalore, among many others. More recently we have visited young entrepreneurs in Vietnam, and other new frontier markets. The ethical principles, and high standards of corporate governance, which have governed large companies such as Tencent since its founding, have led to them being ‘multi-baggers’ for investors over the last 20 years. China today, as the world’s second largest economy, represents 15.2% of global output, but is only 3.2% of the MSCI All World Index of markets. The same figures for INDIA are 3% of the global economy and 1% of MSCI. More importantly, by 2030, it is likely that China and India in 2040 may become the world’s two largest economies as their vast populations rapidly increase their incomes and standards of living. Surely for investors, it is appropriate to look forward rather than backwards. Although, if we look back to 1800, India and China (in that order) were the two richest nations. The wheel of history turns around, slowly but inexorably. There is a parallel between Japan 1960-1990, and China 1990-2020. The earlier two decades, in each case, were periods of rapid economic growth, but poor stock market performance that were succeeded by the last decade of slower economic growth, and a stronger share market, as the accumulated capital from industry and exports was redirected into property and shares. 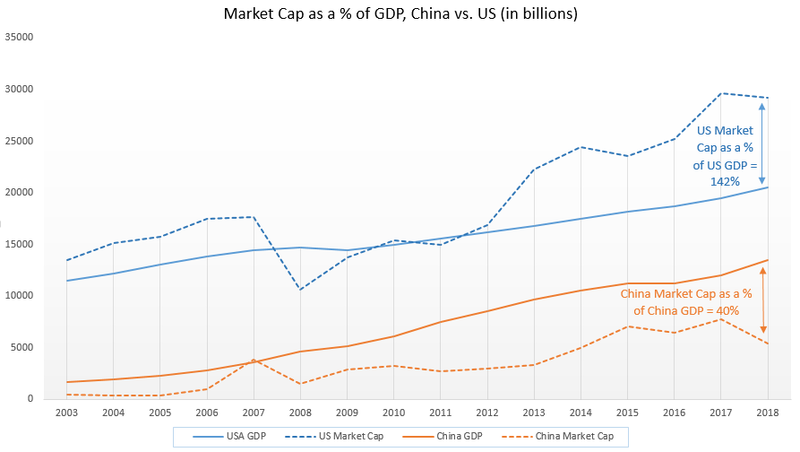 China is a special case, being a centrally directed economy, and the Shanghai market is a ‘policy-driven’ market. In 2019 we see the opening up of China’s financial sector and inclusion of more A Shares in MSCI indices, which will lead to government support measures for the market. In India, we definitely see scope for an interest rate cut of at least 50 basis points in February, given that inflation has fallen to almost 2%, and the RBI rate is 6.5%. Much will depend on the evolution of the oil price (we expect US$60 a barrel) and the Rupee holding steady at 70/71 to the Dollar. This week’s Indian budget has been focused, for political reasons, on support for farmers and the rural poor, with talk of a Universal Basic Income. 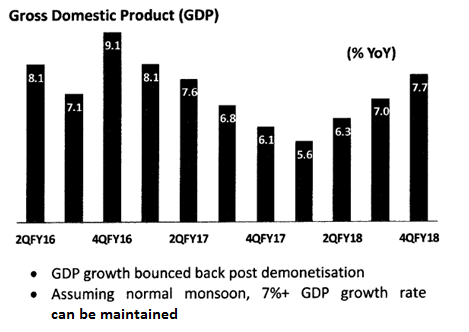 Further stimulus can be expected before the May election, which should favour automobiles, property, and other rate sensitive sectors (private sector banks/mortgage lending). Bank credit growth has accelerated to nearly 15%, though industrial production has slowed. 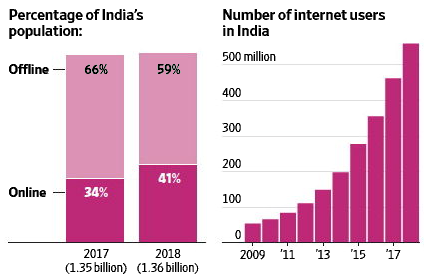 In India, as elsewhere in Asia, the real story is the consumer. It is also noticeable that domestic Indian institutions have increased capital flows into the Bombay market while foreign portfolio investors are cautious. The ‘Nifty 50’ is on 16x PE (below its historic average) with earnings expected to 18% to 20% in the next year. Though small caps have underperformed in the past 12 months, we anticipate a recovery after the general election. Long term, India remains our favourite destination to allocate patient capital. This year has elections in India, Indonesia, the EU, and several other key countries. In addition, the coronation of the New King of Thailand on May 4th closely follows a return to “democracy” there in March 24 elections. On April 1st, the new Emperor of Japan will designate a name for the “Gengo,” or New Era, symbolizing his reign. Japan will host the 2020 Olympics and become more open to immigration and foreign investment and influence. The yen could be one of the stronger currencies of 2019/2020. As 2019 opens, we see cause for optimism with the following trends or events relevant to the Asia Pacific markets. The US dollar peaks out and the increase in interest rates by the Federal Reserve will be slowed down. The oil price stays near to US$50 a barrel and this is a huge tax cut and economic boost, especially to the Asian importers. There is a comprehensive trade deal between the US and China by March or, perhaps by extension, in the summer. This will comprise a significant increase in China’s purchases of US products, including energy and food; an enhanced agreement to open up China’s markets, especially the financial sector, the auto sector, and other major industrial product sectors; a respect for intellectual property, which can be monitored; and an agreement not to impose new tariffs on each side. This will lead to a strong rally in the most depressed stock market in the world, the China Benchmark CSI 300 Index, which finished the year 2018 down 25%, being the worst performing market last year. We expect it to be among the best performing in 2019. We expect that the Indian election in May 2019 will result in a successful re-election of Mr Narendra Modi and the BJP, which will boost the performance of the Bombay stock market in the coming 2 years. Most observers agree that Emerging Markets are now undervalued. It is interesting to analyse the growing weight and influence of China on the Emerging Markets universe. Therefore what happens in China’s economy is increasingly important to the whole world. We expect that China’s growth rate will settle down to about 4% by 2020 and that debt levels managed by the PBoC. The Renminbi, however, would devalue by 10 to 15%. The Chinese government has reversed policy, from one of deleveraging to stimulation. The PBoC cut the RRR another 100 basis points at the beginning of the year. Fixed-asset investment has been picking up for 3 straight months from a bottom in August 2018, and the government has announced that investment in railways will jump by 40% in 2019. If previous rounds of stimulus relied largely on investment, this time Beijing is looking to the consumer, by introducing the first personal income tax deductions for key spending areas like healthcare, education and housing beginning this year, which is expected to contribute up to 1% GDP growth. It is clear that the government is more concerned about the state of the economy and is under more pressure to stabilize the situation at hand. Combined with the possibility of a trade deal, we think the point of maximum bearishness could be behind us. The New Year opens with brighter prospects of US-China trade tensions easing, and if the 90 day period is extended, some accord will be reached before summer. Meanwhile China is determined both to support its economy, currency and technology sector, and also to provide its 1.4 billion consumers with more choices. We see strong growth in tourism, in cosmetics, in food and beverage sales, in sportswear and even in mutual fund sales. The opening of China’s savings and investment sector is undoubtedly one of the biggest opportunities of the next decade. China has a savings rate of almost 50% of national income, which is equivalent to US$5.4 trillion in 2017. Last month we made a research visit to the Philippines, with 105 million population of whom over 11% work overseas, is a medium sized Asian economy of over US$330 billion GDP (about US$3,100 per capita). The growing middle class economy is reflected in the success of companies such as Jollibee, which is the only competitor to McDonald’s, worldwide, which has won over 50% market share in its home market. 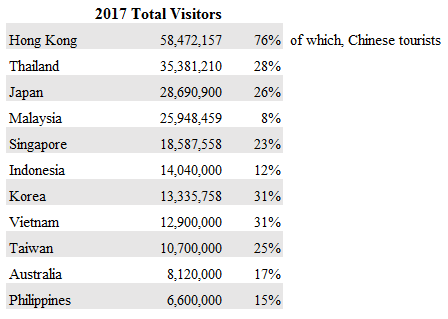 Another significant trend which we observe all around South East Asia is the growing importance of China, as a source of investment, trade and tourism (Chinese tourist numbers are growing 40% p.a. in the Philippines), which will impact infrastructure and telecoms particularly. Foreign Direct Investment flows have reached 3.2% of GDP, second only to Vietnam in the emerging ASEAN markets. Our focus in South East Asia remains on the consumer sector, where we see the strongest companies with sustainable growth – Ace Hardware in Indonesia, D&L Industries in Philippines. Infrastructure is covered by Hoa Phat in Vietnam, Siam Cement in Thailand, and Ayala Corp in Philippines. On balance, this year we see ASEAN as an outperformer. India will benefit from an easing monetary policy (with inflation at 3% and rates at nearly 8%, India has the highest real borrowing costs in the world) in the approach to the May general election. The clean-up of the banking sector continues under the new governor, Mr. Shaktikanta Das and is expected to add more liquidity into the system. India is expected to remain fastest growing economy and corporate India’s profit is estimated to grow at 18% CAGR over the next two years. The fall in the oil price also benefits nearly all Asian economies especially China, Japan, India and Indonesia. 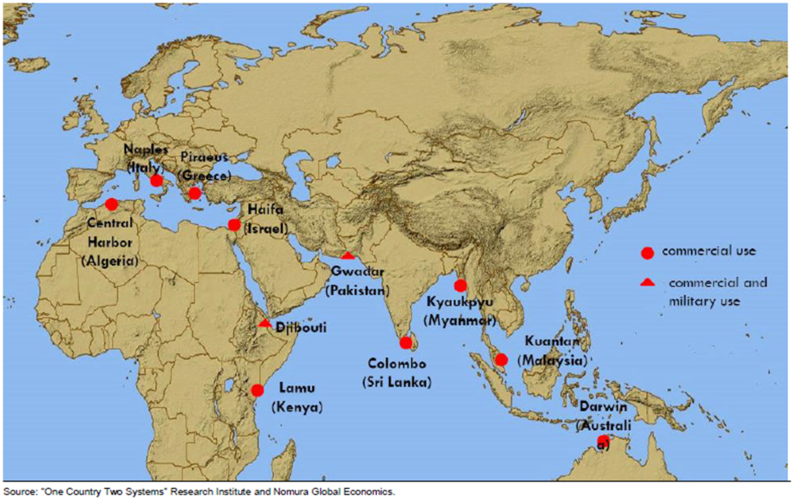 Economic growth is expected to accelerate in India, Indonesia and Philippines. There are still uncertainties and ‘unknowns’ in the 2019 market prospects, especially as they relate to the unpredictable nature of politics, and of US leadership in the world, a certain ‘vacuum’ of power has developed in both the Middle East, as well as Asia, which opens the door to dangerous players such as Iran. On the other hand, North Korea appears much less threating than it did a year ago. China’s role in Asia has strengthened despite the apparent concessions it is making to the U.S. in Trade. President Xi Jinping’s recent speech highlighted his intransigence, when it comes to national priorities such as Taiwan. Nonetheless, we do not see China’s economic momentum being seriously constrained in the next few years. There are still great opportunities in the world’s 2nd largest economy which is driven 80% by its domestic consumers. The first week of December has seen a spike in volatility, after the Huawei news, nervousness about Brexit, and uncertainty on Fed actions. Headline news can be misleading – the true story is one of progress and reconciliation between the US and China, (and possibly between the UK and the EU, if a second referendum is called). We remain positive on the Asian markets in 2019. November saw a notable recovery in Asian markets, especially in India where we achieved an 8.5% gain (in US Dollars), and in our Bamboo Fund up 5.5% or twice the Asia Pacific benchmark. Much of this recovery has been due to a fall in the US dollar, and recovery of Asian currencies, and also the news coming last weekend of a ‘truce’ between President Trump and President Xi Jinping in the ‘Trade War’. With the oil price also strengthening somewhat after the G-20 meeting, this will result in a much better tone in Emerging Markets in the next few months. We expect that this rally will last well through Christmas and Chinese New Year and hope to see some resolution of the trade issue before the end of the three month period on February 28, 2019. The reaction in China has certainly been positive and one consequence is that the government is easing its tight austerity measures, including deleveraging, in favor of a more stimulative program, as well as opening up the Chinese markets for imports by lowering tariffs on automobiles and other sectors, including the important financial sector where American banks and fund management companies can now have wholly owned subsidiaries. In November, growth in the services sector grew at its fastest pace in 5 months, and the PMI rose to 53.8, which confirms a policy shift. We believe the impact will be favourable for the A-Share market, that the Renminbi will be held stable, (or not break the RMB7.00/US dollar line) and that business confidence, which has been quite depressed in China this year, will recover in the next few months. 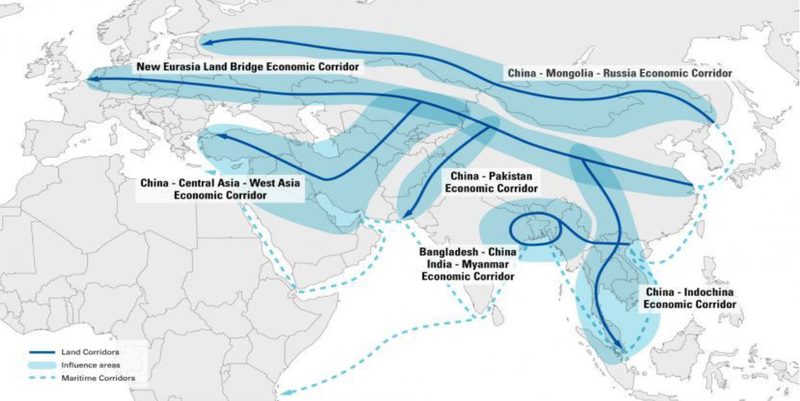 Another major impact will be the acceleration of the trend of transfer of manufacturing to Vietnam, Indonesia, Thailand, Malaysia and the Indian sub-continent. 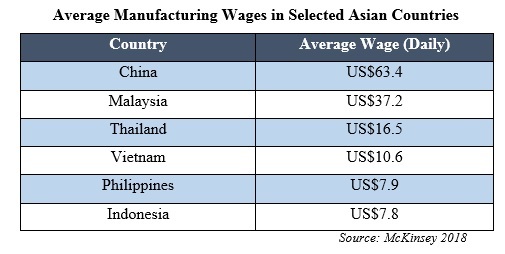 We see already more Chinese and multinational companies moving production to these areas not only because of US pressure but also because of lower costs. Our portfolio strategy is gradually to move the ASEAN weighting up towards a third of the portfolio. China is now easily Australia’s largest trading partner, accounting for about 32% of exports (almost half of which is iron ore) and 25% of imports. We are working on the assumption that China’s economy may slow to 6%, but its infrastructure demand (including One Belt One Road) will maintain growth and momentum, supporting commodity prices. (Interestingly, the fastest growth in Australia’s exports of 33% has been to India.) Also, Australia has recently become the No. 1 world producer of lithium. In addition, there are now over 200,000 Chinese students in Australia, and 1.3 million Chinese tourists spending over US$10 billion annually. (They also buy 25% of Australia’s excellent wines.) The property market in Sydney, and other major cities, has been supported by Chinese purchases, but house prices are now expected to correct, with median prices at 7 times average disposable incomes. Our investment focus in Australia has been mainly on resources (including gold mining), but also on the healthcare and services sector, also closely connected to China. Thinking about China’s path over the next 3 years, it is worth keeping the long term perspective in mind. Since 1978, or 40 years since Deng Xiao Ping’s economic reforms began – life expectancy has been extended by 9 years, and average annual income has increased from 614 Yuan to 67,569 Yuan or about US$10,000, a nominal increase of 100 times, while the US average has grown 5 times. The proportion of the Chinese population living in cities has grown from 18% to nearly 60%, or 840 million. The Communist party’s legitimacy since 1989 has rested on its ability to deliver economic growth and better living standards, not Marxist ideology. The question today is whether this can be maintained, under increased pressure from the USA and under a lifetime presidency with no constitutional procedures for the succession. On balance, we give the benefit of the doubt to Chinese economic planners, who have managed successfully a transition from a state directed economy to one today whose growth is driven nearly 80% by consumer spending. Our investment strategy remains focused on healthcare, education, travel and tourism, and e-commerce. Our confident expectation is that President Donald Trump will reach a “truce” in the trade war when he meets President Xi Jinping in Buenos Aires on November 30. The elements of such an agreement are already in the works and China is very willing to make a deal which will appear favourable to the US electorate. In particular, they will increase their imports from the US substantially by boosting purchases of food stuffs, energy and capital goods (one of the most interesting areas may be LNG, which will meet China’s requirements for a cleaner environment). Deng Pufang reminded the Beijing leadership in a recent speech that his father, Deng Xiaoping had established China’s foreign policy in the 1980s as “hide your edge and nurture your strength” meaning that China needs to behave humbly and not try to take the lead in world’s affairs. The recent rapprochement between China and Japan during Prime Minister Abe’s visit to Beijing last week, is very interesting in this light, since six years ago the two countries came near to conflict over the Senkaku/Diaoyu islands. China is re-assessing its aggressive policy in both trade and territorial claims, again the indications are positive that they will be more accommodating with their foreign partners in the next few years. Our view as outlined in last month’s investment outlook is that China’s Shanghai A-Share market is now extremely oversold and deserve long term investors’ attention, the PE ratio is 10.7x forward and the market is now cheaper than it was after the 2008 financial crisis. There has been a shift from the consumer and technology shares which led the market until recently into the defensive areas such as banks, utilities and telecoms. We expect the recovery will encompass all these areas as well as the tech heavy ADRs such as Alibaba, TAL Education, Hauzhu and Tencent. The e-commerce giants in China still represent the best long term businesses for us to purchase. We are mindful of Warren Buffett’s advice to buy when others are fearful and to stay conscious of our neurotic partner “Mr Market” who offers prices way lower than value. We are also trying to follow Keynes’ investment advice when he said that the right method of investment is to put large sums into enterprises which we know something about, and in management in which we believe, and not to spread our risk too widely in enterprises which we know little about. Regarding China’s economic slowdown, we perceive the shift away from exports and infrastructure (or fixed asset) investment as a healthy change, bringing new opportunities in consumption, tourism, education, and healthcare. Next week, Xi Jinping is opening the “Shanghai Import Show”, which again highlights China’s propensity to consume foreign brands (in fact China ran a current account deficit in 2Q18 for the first time, and it is expected to grow, as China’s tourism expands). For the first time, the Beijing government announced a series of income tax deductions for mortgage payments, rent, education and medical expenses. We expect that these will be further policy announcements to encourage consumers to spend, and some stimulus measures (expected to add 1% to GDP growth), and jobs, and counter the effects of the trade slowdown. Our focus this month is very much on South East Asia and the opportunities which it now offers us as many multinationals and Chinese businesses shift production into Thailand, Malaysia, Vietnam, Indonesia and India. 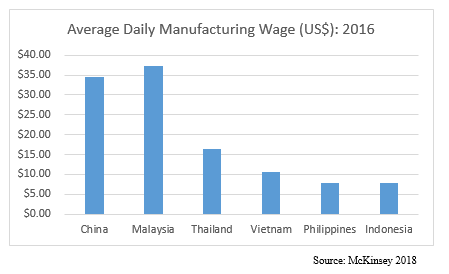 Vietnam’s manufacturing and labour costs are about 31% of China’s and it is perhaps the economy which we see growing faster, with a foreign investor friendly government and a stable currency. For long term investors it is also noticeable that some of the South East Asian currencies, notably the Singapore dollar, have shown steady long term appreciation. Finally, on India where there has also been panic selling in the last month after the default of IL&FS and the rise of interest rates from 6.0 to 6.5% together with a concerted attack on certain financial institutions such as Yes Bank. We believe that there are attractive opportunities to buy long term plays on the growth of the Indian middle class, in particular the growth in the housing market. The Indian market and Rupee have been oversold, foreign investors sold almost US$4 billion out of Indian shares in October, as usual being matched by domestic investors and institutions. Major Indian corporates reported 25% year on year growth in revenues, but EBITDA only grew 15%: the weak rupee, and rising energy and commodity costs, have pressured margins. Liquidity remains a key consideration in our portfolio strategy: the experience of the last 2 years in frontier markets like Sri Lanka, and Indian small and midcaps, have deferred the manager from making new commitments in these areas. While we want to own the 25 best long term enterprises in Asia, we prefer to invest in liquid, tradable shares. We are very much long term investors. Although we cannot with absolute confidence forecast market turns, we believe that for long term value investors, this is an excellent opportunity to consider a broadly diversified portfolio in China, India and South East Asia. We have rarely seen such a bearish mood in Hong Kong and China. Asia Pacific is nearing 5-year lows in terms of price earnings. In particular, China is close to its lowest multiples in 5 years; but its economic prospects (despite the comments of Larry Kudlow) are still good. We expect China’s GDP to grow 6% in the next year – and this means an additional US$840 billion of output on a US$14 trillion economy. The emerging markets are also at a very depressed and oversold level and have fallen 20% in 2018. Within the emerging markets, Asia now represents 75% with EMEA at 15% and LATAM at 10%. When we consider that the Turkish lira and the Argentine peso have collapsed by -38% and -52% year-to-date, together with their respective stock markets, we can appreciate the contagion effect that this has on otherwise healthy economies in Asia. Russia, too, has been suffering from US sanctions, and the Russian ruble and the Russian market have both reached new lows with negative effects on other Eastern European economies. Brazil has been dragged down by political uncertainty and the effects of the Venezuelan economic implosion have affected Colombia and its other immediate neighbors. Asia stands out for political stability, financial strength, strong savings rates, and good growth prospects. India is growing at 8.2% on its last quarterly GDP numbers. 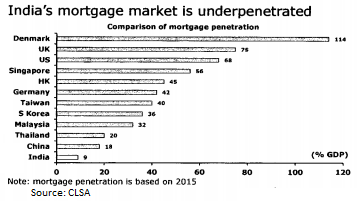 The inflation rate is low at 3.7%, and real interest rates are high. The current account deficit, that India is currently experiencing, is half what it was 5 years ago, when it was 5%; and today, it is 2.4%, even with oil rising to US$80, and we expect US$100 by year end. Mr. Modi is likely to get re-elected in May, 2019; the Reform Program will be maintained; corporate earnings are growing at 20%; and the Reserve Bank of India is probably one of the most conservative banks in the emerging world. The Foreign Portfolio Investors (FPI) owned by non-resident India have now been given some relief from the SEBI rule regarding KYC of beneficial owner of the fund. There has also been a concerted attack on corruption and bankruptcies in the corporate sector as well as the banking industry in India, which recently affected banking and financial stocks. September has been a torrid month for our Indian Ocean Fund, which fell 9%, together with the weakness of the Rupee. The Indian Rupee at 73 is now down by 14%, against the US dollar since the beginning of 2018. In our view, none of these extreme market corrections are justified by the economic fundamentals. The real political risk today, it could be argued, is in Washington where President Trump, having threatened trade wars successively with Europe, Mexico, Canada, South Korea, among others, has settled new “deals” with all of them. This argues that he will logically find a new “deal” with China in due course, which would have a dramatic effect on the depressed share markets of Shanghai, Shenzhen, Hong Kong, and the region. The midterm elections on November 6 actually highlight the political risk facing the USA, since the possibility of the Democrats gaining the majority in the House, if not the Senate, will create paralysis and stagnation in the legislature, and possible impeachment proceedings against the president. This will surely lead to a fall in the US dollar and probably in the S&P 500. The key for us is the relative performance of the US market and the US dollar compared with the rest of the world, in particular, with the emerging market index. In the past 30 years, we have never seen such an extreme outperformance of the US compared to the rest of the world. The key will be a change in the Dollar’s trajectory. As the US debt surpasses US$21 trillion, and interest rates rise towards 3% (and, as J.P. Morgan suggested, to 5% over the next 2 years), net interest payments annually will reach US$1 trillion, exceeding total defense or social security spending. At this point, it is hard to imagine there will not be some sort of crunch, or crisis, in the value of the US dollar, and the way foreigners perceive the risk in the Treasury bond market. It is interesting to compare China, with US$3 trillion official reserves and US$7 trillion or more of private savings, and other Asian countries – Hong Kong, Japan, Korea, Taiwan, India – because there is clearly an imbalance in the world. The global savings glut, which has held down interest rates for the past several years, may now be reaching a moment of truth. Instead of 50% of Chinese savings being channeled into US funds, we may see soon a reversal by which the huge private savings in China and India are channeled instead into their own capital markets. China’s contribution to global growth has risen from 12% in 2000 to 30% in 2017. China is also becoming creditor nation with external assets of US$6.2 trillion and is increasing its direct investment into Southeast Asia, both because of cost pressures and trade tariffs. China is not only an investor but the leading trading partner of nearly all Southeast Asian countries, notably Indonesia, Philippines, Vietnam, the most populous ASEAN nations. In our model portfolio, we are now targeting 40% China, 30% India, and 30% ASEAN. 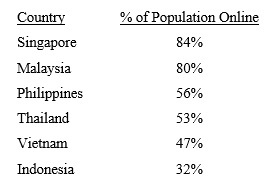 Within Southeast Asia, we are overweighting Vietnam and Indonesia because of their large, young consumer populations. For instance, we have selected the Home Depot of Indonesia, Ace Hardware, as one of our core positions. The health of the world economy depends on the Emerging Markets, which account for 59% of global gross domestic product – up from 37% in 1980. 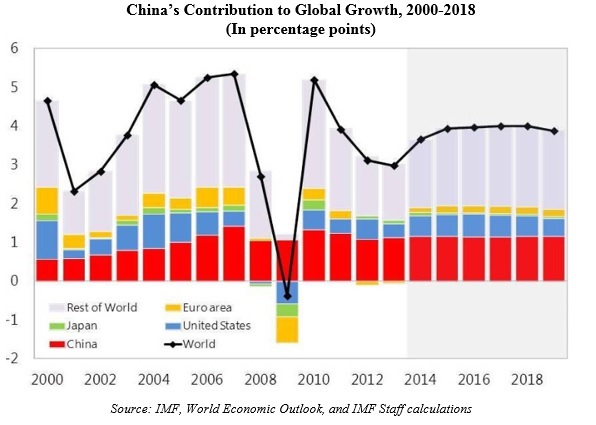 This enormous shift of the world’s economic balance in the past 30 years is principally due to China’s rise as a manufacturing and economic power, especially in the last 20 years. Now, many observers think that India is the next China, with its young population of nearly 1.5 billion, exceeding China’s, its growth rate surpassing China’s, and its open and democratic system of government proving, in the long-term, more resilient. No investor in North America or Europe can afford to ignore the potential of China and India as investment destinations in the next decade. Even if the oil price reaches US$100 a barrel, we expect that, as in 2007, the Asian markets can rise against this background of rising commodity prices. Inflation may be coming back as wages rise and labour shortages grow. But for the next 12 months, we see a coming shift of capital away from the overvalued US market into the value opportunity of Asia. During the Sung Dynasty (1127-1279) the capital of China was in Hangzhou (about 100 miles south west of today’s Shanghai). The famous West Lake remains one of China’s famous beauty spots. Looking at the extraordinary variety and exuberance of the Sung ceramics, one can imagine the vitality and high level of Chinese civilization compared, for instance, to Anglo Saxon England in 1040 AD, when the capital was moved from Winchester to London. Today’s Hangzhou is the headquarter to Alibaba, the world’s largest e-commerce business, of Geely Automobile, a leading Chinese domestic auto company, of Hangzhou Hikvision, a leader in surveillance and artificial intelligence, and many other technology leaders. Due to the rapid development of many new industries, Hangzhou was recently upgraded to a ‘Tier 1’ city in July of last year. The local property market is one of the most vibrant and high priced residential markets outside central Shenzhen, Beijing and Shanghai, with 9.5 million residents. It gives the visitor a clear impression of today’s China – wealthy, confident, and assured with a pleasant clean lifestyle: Bentley, Ferrari, and Maserati all have prominent dealer show rooms: high-end restaurants are packed out for lunch and dinner. Traffic is heavy but not choking as in the 2 major cities. In fact, Hangzhou is in many ways comparable to Seattle (Washington), which is one of the fastest-growing cities in North America today owing to the presence of Amazon, as well as Microsoft, Boeing, Expedia, and so on. Amazon has 40 buildings downtown and over 50,000 IT employees. Like Hangzhou, the city is being energized by the rapid growth and wealth creation of one major online company. Everyone we spoke to in China was confident that the ‘Trade War’ will be resolved: even so, China can easily survive Trump’s threats and tariffs. Consumption is now 78% of GDP. Exports are 18% of GDP, and exports to the US is 4% of GDP. China’s ambitions to be a technology leader can hardly be suppressed. As we have written before, they will innovate, and lead, in many areas, including medicine, biotech, AI, robotics, and so on. It is not a threat to the west any more than Japan in 1980s, although the US demonises any economic competitor: in fact, global economic activity is thriving as the Asian giants engage, compete and improve efficiency. In his fascinating book about Alibaba, Duncan Clark highlighted the strong nexus of small businesses which cluster in the province of Zhejiang in the city of Hangzhou. Alibaba has been able to leverage on this cluster of talent and products to the online e-commerce business which has really taken off in the 15 years since the outbreak of SARS in Hong Kong and China shut down a lot of physical shopping outlets. Now the typical issue in America and Europe has become how far Amazon can be allowed to grow and destroy the old high street shopping outlets. In China, it does not seems to be a big issue, but the question remains how far the ‘BATs’ (Baidu, Alibaba and Tencent) will be constrained by political authority just as the ‘FANGs’ (Facebook, Amazon, Netflix and Google) are now being constrained by new regulation, and some reaction in the case of Facebook, at their influence on the US electoral process (and Russian disinformation). The Indian market has recovered in July, with the large cap index up 6% as the oil price corrected, and corporate results from Indian companies continue to be strong. In fact, in local currency, the Indian market has gained by nearly 8% since the end of last year, and is one of the best performing emerging markets. 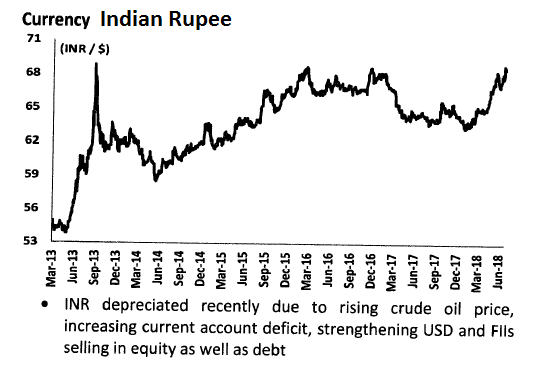 The weakness of the Rupee has been the main drag on performance; but now that the Reserve Bank of India has hiked its policy rate by 25 basis points, we see the Rupee stabilizing. Also we see major direct foreign investments in India by Samsung, Apple and, more recently, by J.P. Morgan. The Indian market has also performed better in the last month, because it is not so badly affected by the trade tension between the US and China. In fact we have analysed the future situation of the assembly chains of technology and other products in Asia, and believe that South East Asia, India and its neighbours will benefit from a shift of manufacturing assembly work from China to India, Bangladesh, Vietnam, Thailand and perhaps Malaysia. Chinese capital is already moving into these areas. We also notice that Samsung and Apple have both made major capital investments in Indian plants in the past several weeks. Medium term, therefore, we believe that a balanced portfolio with China, India and ASEAN (Philippines, Malaysia, Singapore, Vietnam, Cambodia, Thailand and Indonesia) will be a very good portfolio to outperform in the next 10 years. It is interesting to observe that Pakistan has also elected its own home grown ‘Mr Modi’ in the shape of Mr Imran Khan, the well-known cricketer and London socialite formerly married to Miss Jemima Goldsmith. He is likely to try and clean up corruption in Pakistan; and the Karachi market, and the Pakistan Rupee, have already rebounded by 4.7% in the first few days after the vote. 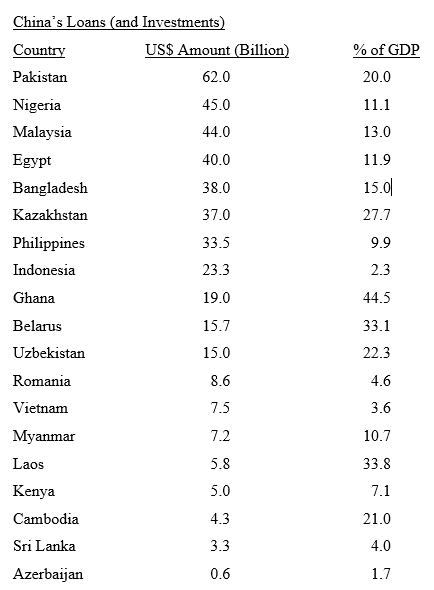 All of these countries in South Asia depend on China for capital investment and infrastructure improvement, so one of his first calls was on the Chinese Ambassador in Islamabad. Our focus in our portfolios remain on the Asian consumer, now estimated to be 300 million in India and perhaps twice that figure in China (in ‘middle class’ consumers), and growing fast in Indonesia, the Philippines and other Asian countries; also on technology, e-commerce and other disruptive technologies and finally on the key sector in biotechnology and pharmaceuticals. The breakthroughs expected in oncology, by Chinese drug manufacturers, are extremely interesting and worth a diversified ‘punt’ on several promising new companies. The Hong Kong Stock Exchange has also relaxed its rules for new listings for biotech start-ups, and among the first names to list will be our favourite Chinese company, BeiGene. Although we are now in the summer doldrums, we are looking forward to a strong and invigorating market bounce in the autumn, as the trade tariff war is resolved between Trump and NAFTA, and then Trump and China, as it has been between Trump and the EU. We are ready to buy into the A share market in China at a PE of 12 times, with earnings growth of over 20% in the pipeline, and local sentiment extremely depressed, even though the consumer spending and GDP numbers are coming in stronger than expected, at 6.7% for China, and over 4% for the US economy. In conclusion, we do not believe that a trade war is imminent; and we are positive about prospects for China and the Oriental markets in the 4th quarter. The Asian markets are suffering from a strong US dollar and growing risk aversion (or a preference for cash). Nevertheless, the underlying fundamentals continue to be strong. The Indian market, for example, has seen a loss of nearly 7% year-to-date (large cap index moved up 1.7%, and mid cap index down 13.9%), mainly due to the weakness of the rupee, which has fallen 7% to 69 rupees per US dollar and matched lows of the past five years. Indian corporates however are estimated to report a 20% growth in earnings per share, and we continue to observe India’s “digital leap” supported by the growth of mobile phones, the Aadhaar identity card system, Jan Dhan, and the inclusion of over 300 million Indians into the financial system. Together, these will transform India into the 3rd largest economy in the world, within 10 years, with a GDP of US$6 trillion, a market cap of US$6 trillion, and the 3rd largest banking system in the world with US$18 trillion of value (according to Morgan Stanley projections). Like China, the key will be the rapidly developing middle-class consumer sector, which is expected to quadruple from today’s US$500 billion to about US$2 trillion in market capitalisation; and per capita income growing from today’s US$1,500, to about US$4,000 by 2027, (or similar to China in 2010). Our Indian advisor, Ashit Kothari, tells us that June has been a very difficult month for the small cap and midcap stocks, owing to changes in the domestic mutual funds and the general malaise of emerging markets in consequence of the trade war rhetoric between the USA and China, as well as the USA with the EU and Canada. Indian large cap stocks, however, have held up well; and pharmaceuticals are up 11%, and IT up 2%, both benefiting from the depreciation of the rupee. The now established monthly pattern is for foreign portfolio investors to sell on average US$1 billion a month, while domestic institutions bought over US$2 billion. This is a pattern we have observed throughout Asia with the growth of national and domestic wealth and savings becoming a much more important influence on the direction of stock markets than the volatile actions of foreign fund managers. We foresee that, in the 2nd half of the year, the US dollar strength will peter out, and that there will be a strong rally in these over-sold emerging markets. Turning to China, we have also seen the Chinese Renminbi slip slightly against its trade-weighted average and about 3% against the US dollar in June. In response, the People’s Bank of China has cut the reserve requirement ratio for banks, freeing up over US$100 billion for new lending and investment. This easing policy is distinctly different from the 2009 policy actions whereby the Chinese government greatly boosted fixed asset investment, or construction projects. This year, fixed asset investment is growing at its slowest pace since 1995, as are retail sales. Both of these factors have suffered from the tightening of credit in the system from the PBOC’s focus on deleveraging. Corporate bond issuance has seen a sharp decline in the first five months of 2018 (down 37.5% compared to 2017 and 63% compared to 2016), while corporate bond defaults have increased at a faster rate than the previous two years. Xi Jinping has directed that the “Growth At All Costs” policy, in place since Deng’s 1992 “To Get Rich Is Glorious” announcement, is now to be replaced by quality growth at a slower pace, with less lending. In the past two years, Beijing has been able to achieve steady progress towards deleveraging, while growth remains above 6%. There is, however, still anxiety about a combination of bond defaults, a weaker RMB, and tighter liquidity, plus the trade tension with the US causing a financial panic. The Shanghai and Shenzhen stock market has fallen sharply in June (down 7.4% and 7.8%, respectively). Our funds continue to be 90% invested, with a strong focus on the high growth areas of Chinese biotech, tourism, and IT/internet, Indian financials and consumer, and some selected growth names, such as CyberAgent in Japan, an online gaming provider and Japan’s leading ad agency for mobile phone platforms. The following chart is a useful one in the context of the trade conflict. China’s exports now stand at 18.5% of GDP, while their current account surplus only represents under 1% of GDP. 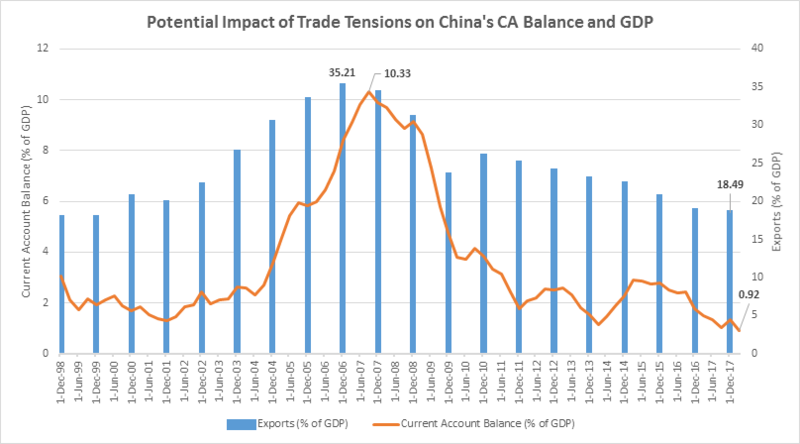 This compares to the height of the bull market before the GFC, when exports stood at 35% of GDP and the current account balance stood at 10.3%. The overall risk in slowdown in the current account to overall GDP has shrunk over the years. We are pleased to say that, despite the fall of MSCI Emerging Markets Index so far this year of about 6% and MSCI Asia Pacific Index of 3.4%, we are still recording a positive return for the year. We remain confident that we will deliver good results in the second half based on these strong fundamentals. Our outlook remains fundamentally based on the assumption that trade tensions will be resolved, by China’s agreeing to buy an additional US$150 to US$200 billion of US food, energy, and other goods; an opening up of China’s industrial and financial sector; and a new commitment to respecting intellectual property. This will provide President Trump with a “good news” announcement prior to the November mid-term elections, and will also significantly benefit the smaller trading nations of South East Asia and India, which have been trampled under by the two big elephants of international commerce, the United States (US$20 trillion GDP) and China (US$12 trillion GDP). It is perhaps an auspicious moment for long-term investors in North America and Europe, to “dip a toe” into the Pacific markets, based on the long-term vision we have, that China and India, will be major economies and capital markets in the next 10 to 20 years and beyond.